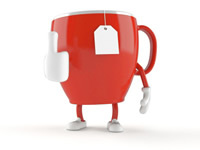 We are a happy and helpful bunch at Bev Direct so please get in touch if you want advice or information about our products, you need help with ordering or you just want to give us some feedback. Telephone: call us on 01483 4841884. We are available from 9am-5pm Monday to Friday or you can leave a message around those times. Live Chat: chat to us live through our website between 9am-5pm. Contact form: fill in our contact form through the website. FAQs: you might find the answer to your question on our Frequently Asked Questions page. You may also like to keep in touch with our latest news, products and special offers which we'll post from time to time on our blog and in our newsletters.